The brutal Paris attacks have been rightly condemned. Yet the tragedy has been exploited to undermine the very right it’s become an emblem for – freedom of expression – while details contradicting the official narrative are suppressed. 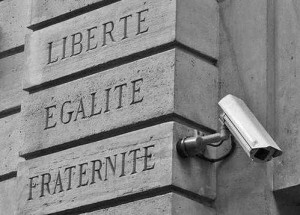 This article examines the wider agenda behind the selective defence of free speech in the aftermath, and how the French Government’s long-running crackdown on alternative spirituality violates the principle of liberty it claims to uphold. Unless the laws and social conventions concerning free speech, hate speech and religious freedom and expression are applied equally in the West, then any claims we make to being the bastion of liberty and freedom of expression will ring hollow. Ah Matthew, thank you, thank you so much for writing such a good expose on this and highlighting many of the wrongs happening in French society and how people are being mislead about their rights, or lack thereof. It is horrible to read and learn about how people have been harassed and marginalized due to their choice of spirituality and religion that at its fault is only the fact that it is simply not mainstream. What is even more dangerous to free speech, and freedom of thought are the creation and enactments of these laws. 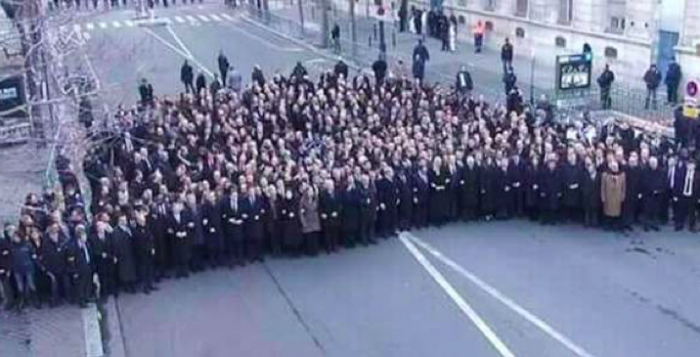 I can only hope for people to wake up in France and realize how they are being manipulated. 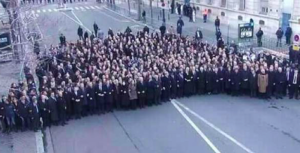 The Paris incident is a real tragedy and it seems as though France is ready to initiate another Inquisition. Sadly, something similar is starting to happen in Canada – specifically with the province of Quebec (where there is a large number of francophones and French influence present). In 2013, Quebec had proposed to implement a ban on religious symbols at all public sector institutions such as schools, hospitals, government offices, etc. With the series of awful events that lead to the Paris incident, who knows how far this ban will be taken. The French ban on the niquab/hijab were the first thing that came to my mind when I heard of this. I just can’t understand how these two completely opposing views and approaches are not discussed more in the context of the Paris events — thank you for bringing them up here! I can’t think of a more broad, catch-all ‘crime’ than making “one or more people start to believe in certain ideas which differ from the ideas generally accepted by society”. You could convict anyone with that; it would be laughable if it weren’t actually a real policy being used to marginalize people outside of mainstream religion. Thanks for bringing awareness to this threat to free spiritual expression, Matthew. Great points. There is so much hypocrisy involved. An excellent and eye opening article. Thanks Matthew. That stuff about anyone who thinks differently from generally accepted views in society is crazy. The video you included really highlights it well – anyone who is not with them is against us them seems. I wonder how many people stop to question who creates the generally accepted views of the masses, if they really come from the people and have their best interests in mind, or if they come from society’s elite who have their own best interests in mind at the expense of everyone else. It’s really sad to hear the extent of oppression people interested in spirituality in France are facing. Thanks for exposing it all. Good points you raised there Matthew. And yes, what do you know, another ID found miraculously after a terrible terror event! How could anyone in the mainstream media not really question that at least? Certainly double-standards going on. 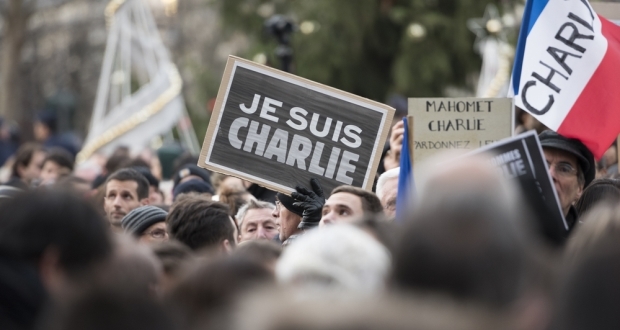 Many talk of freedom of expression, but do not realise that with it comes responsibility. When insulting milions of people, who will be upset with a cartoon, then where is the responsibility of the cartonist? Reading this made me think how similar vilification would be treated if it were directed towards other forms of discrimination – sexuality, gender, etc. Would that also be accepted and celebrated? Seems pretty weird that a country that has anti-bullying laws would allow this mass kind of bullying. Definitely double standards! Wow! That they equate “sectarian deviance” with “mental subjugation” but don’t apply it to themselves, but rather anyone else who wishes to think differently (from them): it is certainly a topsy turvy world out there! Using their logic, it would be quite justifiable to denounce a modern-day Jesus for his actions: the irony is astounding. – Raise the dead? Not allowed. – Share peace and love? Not the way you do it: we have rules for that kind of thing! If this wasn’t actually happening, this would be hilarious. Thanks for another well-written article Matthew. In your opinion, what can one do to fight against these injustices? Hi Daniel, a lot of people don’t know what is going on and the duplicity at work and the impact it has on peoples freedom, so helping to spread the word about this is very important I think. It helps to shine a spotlight on the darkness. If enough people see through the hypocrisy then they will not be able to get away with it. There are also organisations (some I quoted) making efforts to protest the anti-sect laws and blacklist, and there might be ways to get involved and back those efforts. Ultimately it depends on the will of the people of France to change the situation there, but there have also been efforts to spread French-style anti-sect laws to other countries too. By being well informed about why these laws are a bad idea, you will be better placed to intelligently protest against, expose and thwart any attempts to establish them in your country. Those are just some ideas, but if this is something you care about then I would say the main thing is to just do what you can, even if it’s just sharing this article. I agree with Matthew that spreading awareness is important. A few days after these events took place in France I went online to get an idea of what had happened. It was obvious that there was a lot more to this event and certainly that it was exploited to the max by those with their own interests of control. To be honest the thing that was most depressing though was that in all the websites I went to there was a concerning lack of anyone sensible. I couldn’t find anyone really who was not caught up in the whole thing in one way or another. Hatred very much alive, having an event, a justification for it to finally come out openly. Even in those places where you would expect some people who would look deeper, nothing. To see masses of people gather under a ‘slogan’ thinking they’re supporting something good, but ignorant of what is really going on…….I felt the that things in the world are really bad. I even saw a video of “Anonymous”, who I thought could perhaps look a step further or in a different way than mainstream lines of thought. They completely missed the point and were part of it. A great expose Matthew, I had not considered this double standard of France before. It is worrying how prejudice their laws are, I truly hope other Western countries never get similar laws. Excellent article, thanks. Some related articles are below.